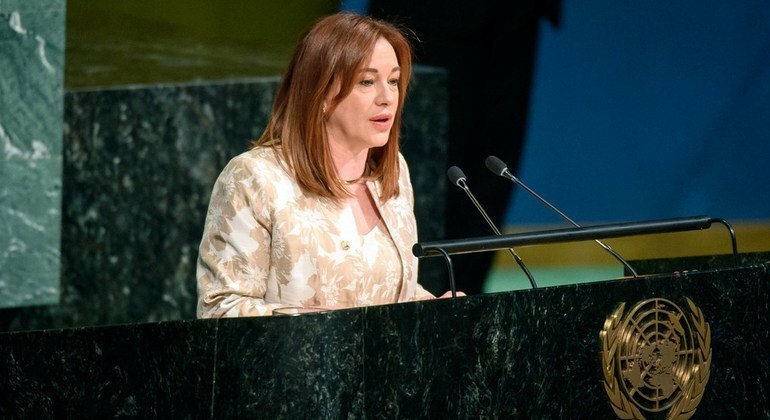 Foreign Minister María Fernanda Espinosa Garcés of Ecuador, newly-elected President of the 73rd Session of the United Nations General Assembly, addresses Member States. 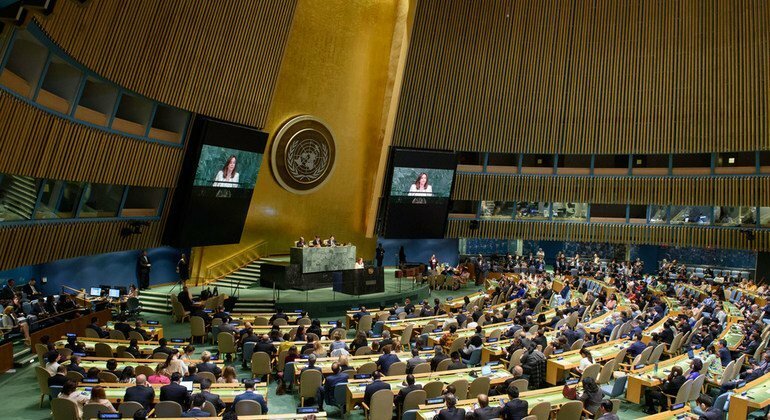 The United Nations General Assembly on Tuesday elected Ecuadorean Foreign Minister María Fernanda Espinosa Garcés, President of its upcoming 73rd session; only the fourth woman to hold that position in the history of the world body, and the first since 2006. Ms. Espinosa secured 128 votes against 62 votes obtained by the only other candidate, UN Ambassador Mary Elizabeth Flores Flake of Honduras. In her acceptance speech, Ms. Espinosa also noted that she was the first woman ever from Latin America and the Caribbean to preside over the Assembly. “As you know, I am also a poet as well as a politician. As such, I am fully aware that no view is useful if we do not see, and no word has value, if we do not listen. I will be ready to listen to you all and work for, and with you,” she said. Ms. Espinosa had served as Minister of Foreign Affairs and Human Mobility, Minister of Defence, and Coordinating Minister of Cultural and Natural Heritage. 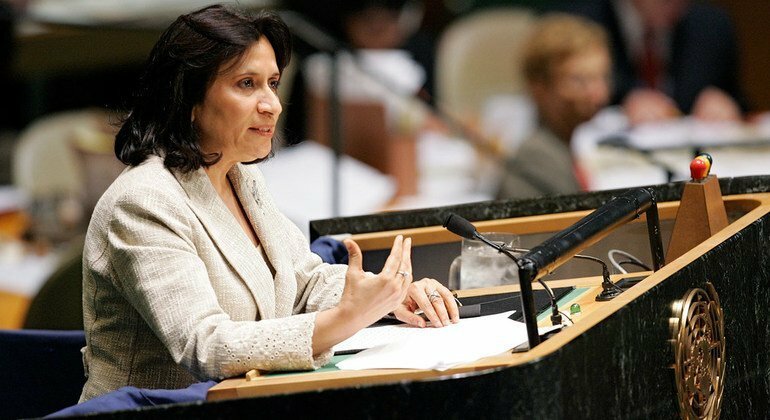 She was the first woman to be named Permanent Representative of Ecuador in New York, after having served as Ambassador in Geneva. “Your direct knowledge of the intergovernmental negotiations on human rights, indigenous women and climate change will help the General Assembly advance the agenda of the United Nations,” Mr. Guterres said. As a writer and poet, Ms. Espinosa has published more than 30 academic articles on the Amazon River, culture, heritage, development, climate change, intellectual property, foreign policy, integration, defence and security. She has also published five volumes of poetry and received the Ecuadorian National Poetry Prize in 1990. 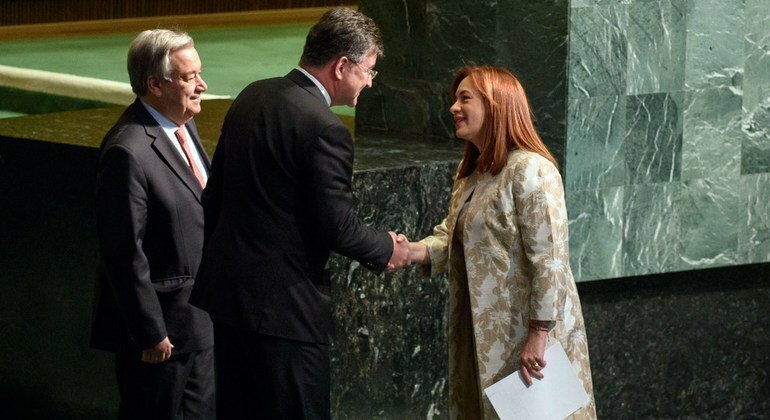 Ms. Garcés (right) is congratulated by Miroslav Lajčák, President of the 72nd session of the General Assembly, following her address to the General Assembly. Also pictured is Secretary-General António Guterres. The current Assembly President, Miroslav Lajčák, also congratulated Ms. Espinosa on her election, saying that having only four women among the 73 Assembly Presidents, is “not a record to be proud of”, urging continued efforts towards full gender parity. 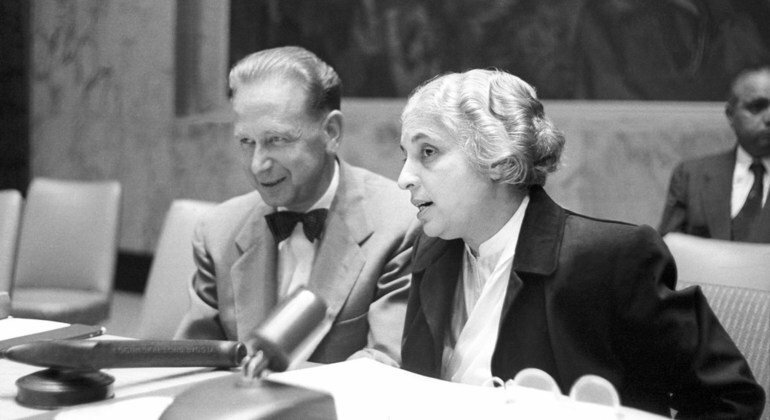 The previous women leaders of the Assembly were India’s Vijaya Lakshmi Pandit in 1953; Liberia’s Angie Elisabeth Brooks in 1969 and Sheikha Haya Rashed Al Khalifa of Bahrain in 2006. 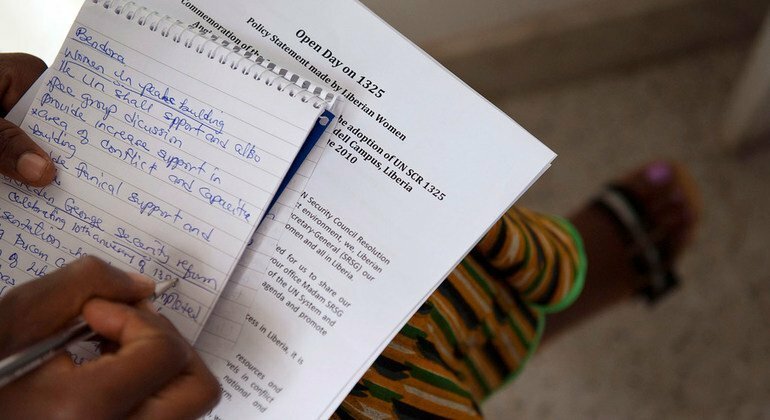 She said her priorities during the upcoming Assembly session, which starts in mid-September, include UN reforms, finalization of the global compact on migration, and implementation of the Addis Ababa Agenda on financing for development. Climate action, employment, inequality, and peace in the Middle East, including the rights of the Palestinian people, are also on the agenda. 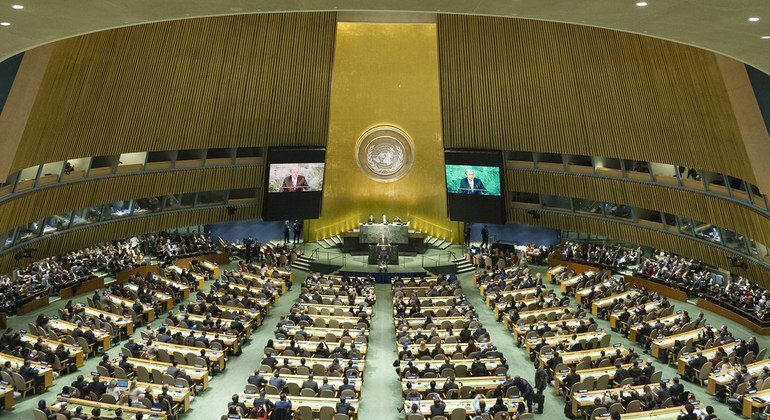 By tradition, the UN’s regional groups nominate a single candidate who is then rubber-stamped by the Assembly. But the Latin American and Caribbean Group could not agree on a single nominee this year, leading to the contest between Ms. Espinosa and Ms. Flake. In a newly established practice to enhance transparency and inclusivity of the selection process, the Assembly had held informal interactive dialogues with candidates presenting their vision statements. 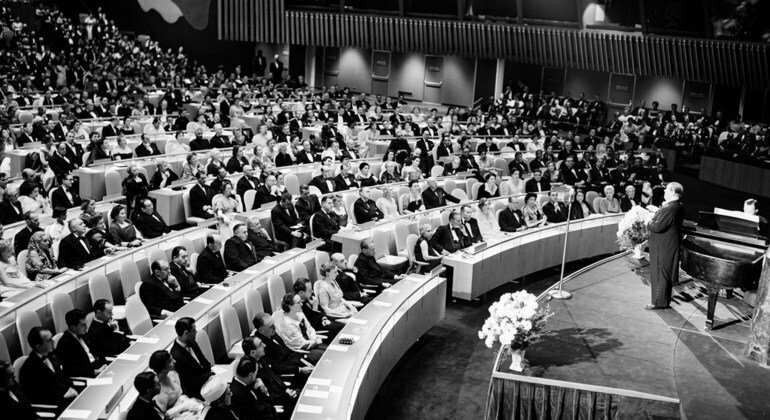 Made up of all the 193 Member States of the UN, the Assembly provides a forum for multilateral discussion of the full spectrum of international issues covered by the UN Charter. 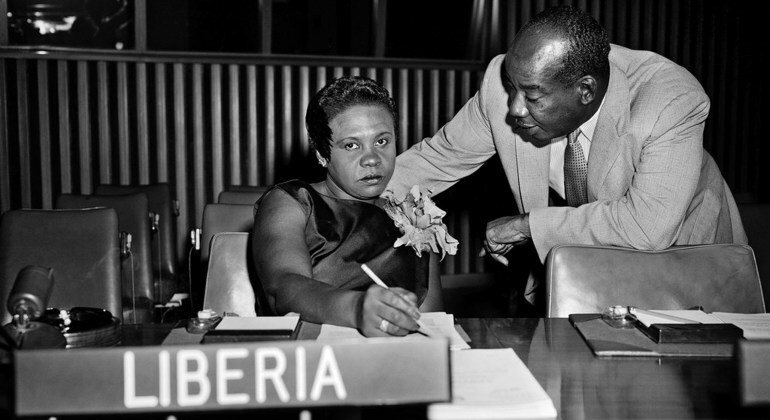 Also today, the Secretary-General drew lots to determine which Member State will have the first seat in the GA Hall at the 73rd session, with Mali gotten picked.